The Old Covenant Can Not Sanctify Anymore, Why is This So? Nowhere in my article did I say that women are only meant for the kitchen.A little study will tell you that the best of cooks and chef in international kitchens are male.Your answers are false accusations to somebody who cares for the enlightenment of your soul.Such is prohibited in the Ten Commandments. I am obliged to repeat that in The Church of God, we esteem, with the highest of regards, our women.They occupy vital administrative positions in the Church like, being treasurers, auditors, and the likes.It is not to disgrace or to dishonor a woman if you say that she must be under the authority of man. You accused me of marginalizing women; and you said that it is silly and foolish to say that women have no place outside the home.Did I ever say that women have no place outside the home?Or are you lying?Remember, “Thou shall not bear false witness against thy neighbor”. Your idea, that it is not timely for women to lead the first century church because it will be too subversive against their culture and religion; that is why Jesus Christ and the apostles downplayed the role of women in the Church, is really silly and foolish.And the notion that because it is now the 21st century there is no reason to prohibit women leading the Church, is utmost foolishness.Why? …because in the order of God’s priority, the man came first; and the woman is prone to deceit.The teachings written by the apostles, particularly those of the apostle Paul, are commandments of the Lord. And one of those commandments of the Lord is what he wrote before verse 37.Let us read verses 34 to 36 of chapter 14 of 1 Corinthians. Remember, Brother Scott, these things the apostle Paul wrote are commandments of the Lord.Are these commandments meant only for the first century church? Are they to be disregarded in the 21st century?O, c’mon! You said, “Shouldn’t the Christian church be empowering all of its members”.Did God give power to the Church to empower all its members?What verse tells this so?Are all the members of the SDAC empowered?Where there (in the almost 200 year history of your church) other women that led your church?Or was it only Ellen G. White?Will you answer these questions honestly? You said, “God doesn’t change, but society does”.I appreciate that you know that God does not change!But, even if human society changes — everyday, will the true Church of God change its doctrines with it?Noooooo! 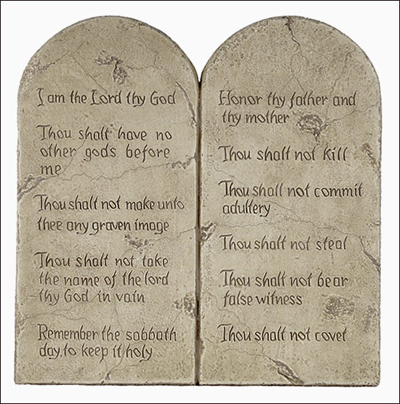 These are God’s commandments given to Moses on the mountain and was called by God the “Law of Moses”.Just like the commandments given by God to Jesus Christ for Christians, which was called “The Law of Christ”.